Asian shares have retreated. Even the Nikkei has fallen back to two-year lows, following Chinese shares as they further their sharp correction plunge, dropping so far as 2.8%. There are fears of a continuing economic decline in the Chinese economy. 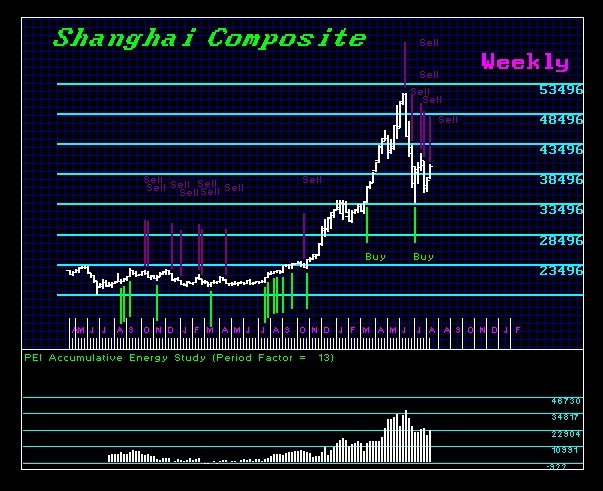 The Shanghai Composite Index (SSEC) has fallen another 2.8% after Tuesday’s 6% drop. The reality of the world economy turning down in real, but for now, there is growing worries that the Chinese government could WISELY be scaling back its rescue efforts. 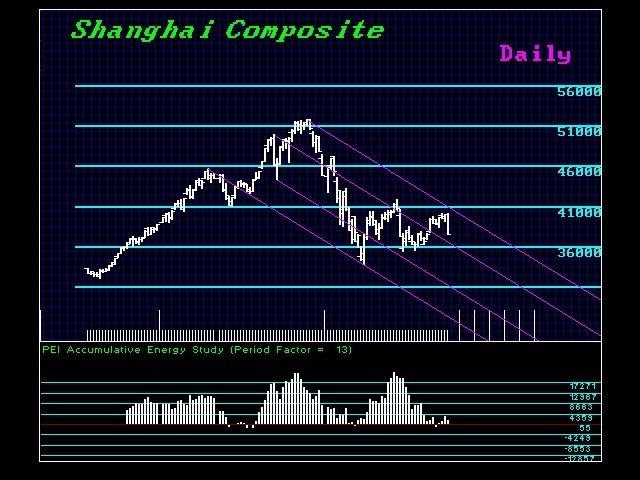 China must step away from intervening in share prices or risk the same prolonged decline instigated by Japan. We elected a Weekly Bearish on Friday, so on the Weekly level we are currently with three short positions on the hypothetical trading model. This is not very bullish for the near-term. Our Daily models are showing Energy collapsing rapidly and on a weekly level and we can see that our Energy models are still showing there is a lot more to go on the downside before this market reaches another important low.